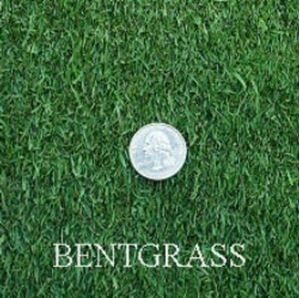 There are many benefits to bent grass in a lawn, golf course, or athletic field turf. Bent grass can be cut very short and still thrive. It is also able to withstand a high volume of traffic, both from people walking on foot and from golf carts or other wheeled equipment. Even when it is cut short, it is dense and creates a mesh-like green ground covering. It also can be combined with other hardy grasses, such as Bermuda grass, to give a sleeker effect. Creeping bent grass is the most popular and most planted of the Bents. This grass forms a dense mat by creeping stolons and has a shallow root system with long slender leaves. If you have any questions about this product by SEEDS2GO, contact us by completing and submitting the form below. If you are looking for a specif part number, please include it with your message.